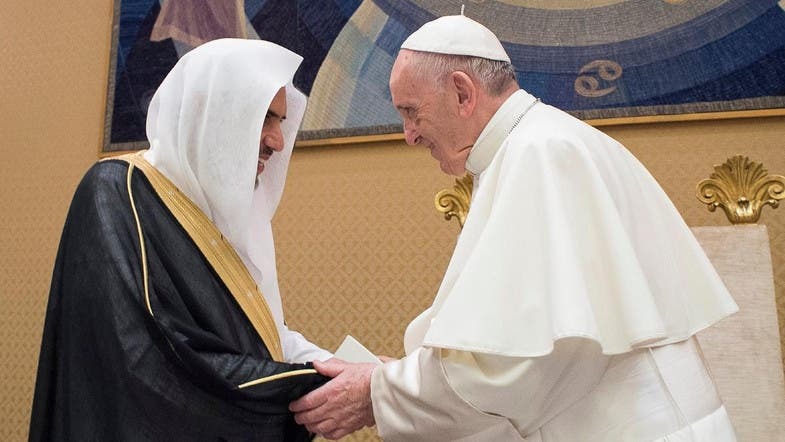 Pope Francis received the Secretary General of the Muslim World League Dr. Mohammed bin Abdul Karim Al-Issa, who is currently visiting the Vatican. During the meeting, both exchanged views on a number of issues of common interest, which are in the interest of peace and global harmony, and “cooperation in issues of peace, coexistence and the spread of love”. 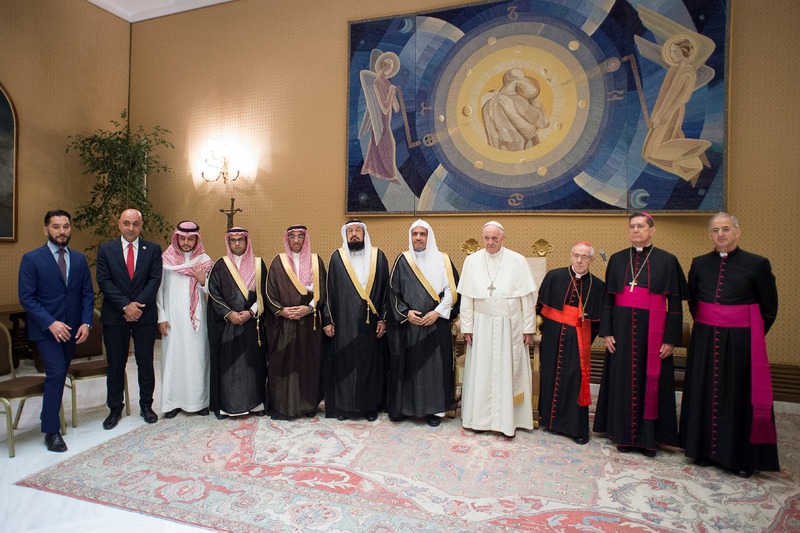 For his part, the Secretary General of the Muslim World League expressed appreciation of the Muslim world for the pope's fair positions on the false claims that link extremism and violence to Islam, and that these acts have nothing to do with Islam and that in all religions, some followers have extremism. 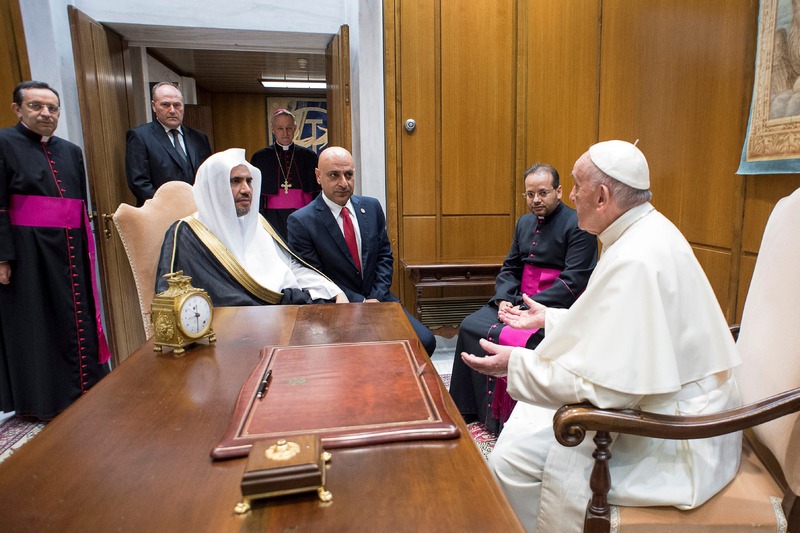 At the end of the meeting, Pope Francis and Al-Issa exchanged commemorative gifts. 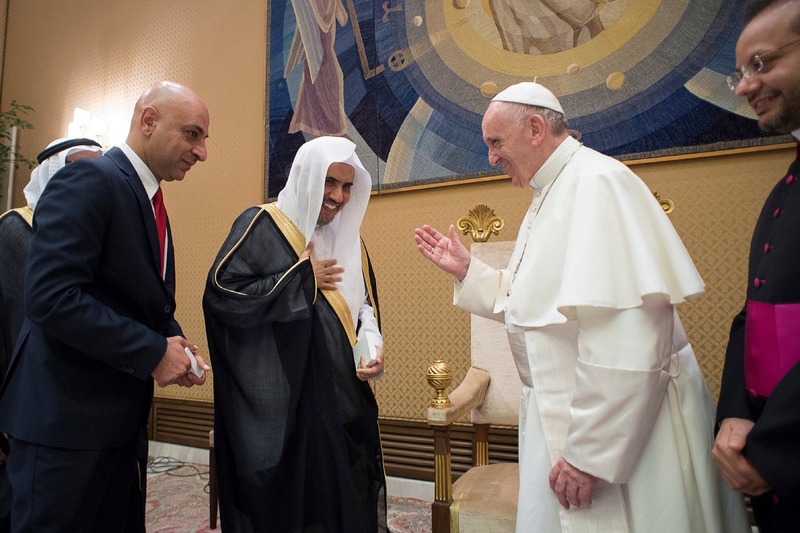 Al-Issa presented the pope with a symbolic gift representing Islamic civilization, expressing its interaction with other civilizations, especially the civilizational communication with the Vatican and its universal religious symbolism. The Pope also presentative a commemorative pen represents the occasion of the 500th anniversary of the construction of the St. Peter Basilica, as well as a commemorative medal commemorating the fifth year of his sitting at the Holy See.